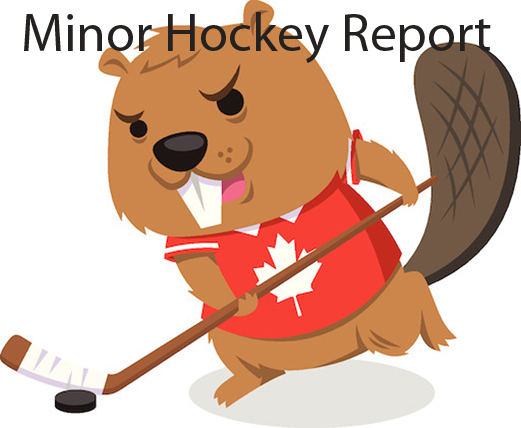 The Novice B Crunch opened their provincial playdown qualification round against Kemptville with a 1-1 draw. Yakowennare Brant was amazing in net, making many great saves. Lexa Lazarakos scored the lone Napanee goal. It was a similar story in Game 2, which also ended in a 1-1 tie. Carley Uens scored for the Crunch while Brant was making a habit of making key saves. Game 3 goes Saturday at 3:30pm at the SPC. -The Atom B Have advanced to the final round in the Lower Lakes League. They beat the Kingston Ice Wolves 2-0 and 2-1. -The Doyle’s Windows and Sunrooms Midget BB lost a heartbreaker on Sunday in a 10 round shootout to the Lindsay Lynx. The Crunch tied game 1-1 last week, and then won 4-2 in Lindsay on Feb. 23rd. Kiera Golosky played solid in goal for the win. Goals by Megan Morrow (two), Rayanne West and Gracie Hearns. Assists by West, Katie Hearns and Amber Weese. The Lynx forced the overtime and shootout by beating the Crunch in Game 3, 3-1. West scored the lone Crunch goal and Madison Burgess stopped eight of 10 Lynx shooters in the shootout. West scored as the first shooter from Napanee. The Lynx first shooter answered with a goal, and the next scorer was Lindsay’s 10th shooter. nThe Peewee BB Crunch played Game 2 of the semifinals for the Lower Lakes League on Saturday in Peterborough, resulting in a 1-1 tie. Kristen Sutton provided the goal, assisted by Claire McConnell. Meena Peterson was great in goal, stopping a couple of breakaways as well. Game 3 was played at home with Napanee coming out on top, 4-2. Keyra Herrington held off the Peterborough shooters in goal and made a huge glove save late in the third period with Napanee up by one. Goals came from Lila Pringle (two), Kaylee Brooks and Mackenzie Tyner. Assists by Tyner, Lila Pringle and Anna Hagerman. Napanee will now face the Whitby Wolves in the league finals to qualify for the Best of the Best Lower Lakes Championships, where the top six teams out of the 45 team league, will play a tournament to determine the champion. They played Game 1 for qualification for the provincial championships against the Kingston Ice Wolves on Tuesday night, picking up a 3-0 win. Herrington earned the shutout. Goals were scored by Megan Morsette, Jaidyn Manion and Kaylee Brooks. Assists by Claire McConnell and Lila Pringle. -On Tuesday night the Bantam B Crunch tied the Cold Creek Comets 3-3 to force a Game 3 on Saturday night. Facing a must win Game 3, they lost 1-0, knocking them out of the playoffs. They also lost two games to Cornwall Typhoons, 2-0 and 2-1, knocking them out of the Provincial playdowns. The AFW Construction Novice Stars, needing a win to guarantee a place in the semifinals, were full value for the 3-1 win Sunday over Newcastle. It was a daunting task for the Stars, facing the top squad in the seven team round robin. In this final game, the Stars struggled in the early going. The first period was scoreless, but Newcastle tallied on the power play early in the second. Camden Arthur got a fine shot on net late in the second, and Wyatt Whalen pounced on the rebound to tie it at one apiece. Shots were 10-3 for their opponents at this point. In the first minute of the final frame, Arthur did much of the work to carry the puck over the line, and work it to the net before Whalen fired a high shot past the goalie. For insurance, Arthur and Whalen combined on a two-on-one with Arthur finding the open cage. Goalie Ethan Sabramsky-Nicol was called on to make several key stops as Newcastle outshot the locals 12-10. – The Atom BB squad dominated Lindsay 6-0 last Saturday to win Game 4 and the quarter-final series. Goal scorers were Dylan Kemp, Blake Wood, Kohen Cutler, Owen Kish, and Owen Dwyer. Blake Wood and Tie Wood each had a pair of helpers in the win. nThe Joyce’s Meats & Deli Atom AEs, after travelling five hours to Saugeen Shores near Lake Huron, find themselves down 4-0 in points. Saturday they lost 4-1 and Sunday the Stars were edged 3-2.
n The Peewee BBs continued their undefeated season with a 1-1 tie and 6-2 win in Collingwood to lead their semifinal series 3-1 in points. -The Calderwood Automation Peewee AEs hosted the Collingwood AEs and came out on the wrong end of the score in two weekend contests. Saturday the locals got goals from Tristen Nijssen and Caleb South in a 7-2 loss. South scored in the 6-1 loss on Sunday. -The Napanee Bantams were downed 3-1 in Game 4 of their quarter final match with Prince Edward County to end their playoff run. Going into the game they trailed 4-2 in points on the strength of a loss and two ties. -The Napanee Cab Midgets won 5-1 in Wellington, but were edged 4-3 by Prince Edward County on Sunday night in Game 5 to end their season. In their final game, Ryan Kirkpatrick, Corbin Gibson and Nate Brant tallied for Napanee.